More Canadians are choosing to receive care from the comfort of their house as opposed to living in a residential home. However, there is a growing demand for specialist healthcare services to cater for elderly dementia sufferers. 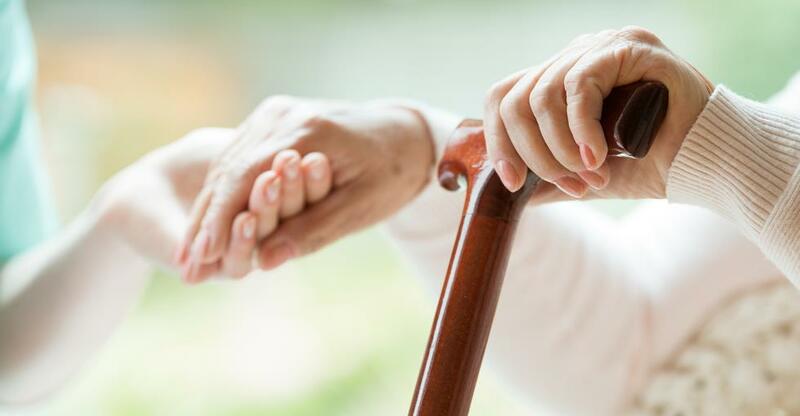 As the senior population of Canada increases, the country is struggling to keep up with the rising demand for health care, with many care homes understaffed and under-resourced. Recruiting a qualified, dynamic team is essential in running a successful care home business. Remember, your staff are the face of the business and will be interacting with your residents on a daily basis. If you’re finding staffing difficult, the Canadian government website offers business owners the chance to post work opportunities on their job bank, which is seen by thousands of job seekers across the country. The type of services you can offer will also determine what level of training your employees will need. Firstly, ensure all your staff are trained in first aid and CPR at the very least; the Canadian Red Cross and St John Ambulance both offer courses and training programmes that could be useful for your staff. Offering additional training to your staff on the basics of teaching various hobbies and activities can be hugely beneficial not only for your residents but for the morale and atmosphere of your home overall! Importantly, make sure you have enough staff for the number of residents; many long-term care homes throughout the country are currently under-resourced, with many patients forced to wait longer for their treatments. Overstraining your staff can cause a stressful work environment and negligence, which can be detrimental to the wellbeing of your residents. Being a Healthcare Assistant (HCA) is not for everyone, you will need to find staff who are compassionate to resident’s needs, have the patience to listen and the confidence to care for the elderly in intimate situations, such as bathing. Your interview process should be thorough and take into consideration their attitude and outlook for the work at hand as much as their skills and qualifications on paper. Ensure that your staff are also part of a regulatory body such as the British Columbia Care Aide & Community Health Worker Registry. It can take a long time to build up a dependable, skilled team that work well together, so when you achieve this, make sure your employees feel valued. When a high number of elderly people all live under the same roof the risk of disease spreading is generally higher, this is because residents are more susceptible to infections due to their age and impaired immune systems. Maintaining a good level of hygiene and cleanliness is vital, not only to offer a comfortable, sanitary living space but also to avoid an outbreak of illness among your residents. Your staff should all be familiar with cleaning protocols, if you run a large care home you will likely have a contract cleaning company in place. It is good practice to conduct regular inspections to ensure the cleaners are doing a thorough job, you should also have the bed linens laundered regularly to keep the rooms smelling fresh. Install hand sanitising units throughout your care home; this will lower the chances of germs being spread among visitors, staff and residents. Staff should also wash their hands regularly after assisting with patient’s needs and handling food. Equipment such as baths and wheelchairs should also be sprayed with disinfectant after each use. Offer your residents a variety of services to suit their needs, this could include an on-site hairdresser or senior-focused fitness instructor. There are many small, independent businesses in your local area who would be open to the opportunity of working with your residents on a regular basis; whether that be in mental and physical wellbeing. If you are currently operating as a care home but you are struggling to attract new residents, consider branching out and offering a specialist health service, such as care for patients suffering from dementia. This would be considered a long-term plan for your business, as you will need to ensure all of the correct preparations and precautions are in place for you to be able to cater to residents with further requirements. It is also worth building up strong, reliable relationships with professional specialists such as dietitians, physiotherapists and ambulance drivers, who you can call for advice and guidance. Employing a catering company that is of a good standard will also be appreciated by your residents who will be getting most of their daily nutrients and vitamins from eating fresh, home-cooked meals. Keep a social calendar so your residents can interact with one another regularly; it is important for the elderly to have structure and routine, however, you don’t want your residents to feel like its Groundhog Day. Think of simple, educational classes and games that will entertain residents and keep their mind’s active too. Once you find that your residents are happy and assured in their new home, you will be able to see your business naturally thrive and blossom.